Current political negotiations for trade deals between the EU and African countries seem unable to catch the trade winds which blow towards the equator from the northern hemisphere. These gusts of air have been a Godsend to countless merchant sailors in Europe’s trading history. In contrast, the EU’s grand vision for a patchwork of so-called “Economic Partnership Agreements” (EPAs) with developing countries in the Global South appears to be stuck in the doldrums. Nigeria, Africa’s largest economy, has so far not been persuaded to sign the West Africa EPA. The most recent failure is the impasse on the proposed EPA with five countries comprising the East African Community. Almost scuppered last year when Tanzania pulled out of negotiations at the eleventh hour, the deal suffered a further blow in May when only two presidents turned up for a rescue summit held in Dar es Salaam. EPAs originate from the trade chapter of the Cotonou Agreement signed in 2000, an overarching framework between the EU and a group of countries, mostly former European colonies, within Africa, the Caribbean and the Pacific, known as the “ACP”. Replacing the 1975 Lomé Convention, the Cotonou Agreement contains lofty provisions aimed at reducing poverty, promoting sustainable development, and integrating ACP countries into the world economy. Revised every five years, recent amendments to the Cotonou Agreement include measures to combat criminal impunity through the International Criminal Court. 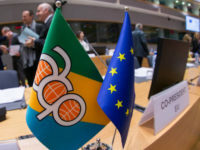 Under the Lomé Convention the EU gave favourable market access to ACP countries and were thus deemed to infringe World Trade Organisation rules. EPAs on the other hand aim to replace arguably paternalistic policies with the principle of reciprocity, requiring both parties to open their markets. Therefore, under EPA arrangements, the EU generally gives immediate duty and quota free access to all products from its partner countries. However, in contrast to Free Trade Agreements (FTAs) between the EU and more economically developed countries, EPAs do not require ACP countries to fully liberalise their markets, and the degree of liberalisation depends on their level of development. Very often, sensitive products, especially certain agricultural commodities, are excluded from EPA provisions. Given these laudable aims of EPAs, why have they often failed to get off the ground? A major problem is that EPAs are falling short of their two stated aims, namely regional ACP co-operation, and sustainable development. With regard to regional cooperation within EPA groups, conflicts exist between EPA provisions and other EU trade arrangements. For example, the very poorest African countries, such as Tanzania, already benefit from duty-free and quota-free access to EU markets under the “Everything But Arms” initiative. Although this trade policy could be withdrawn at any point by the EU, at present its existence means there is little incentive for very poor countries like Tanzania to open up its market through an EPA. On the other hand, relatively economically richer nations like Kenya who do not benefit from Everything But Arms are keen for the security of an EPA to protect against devastating scenarios arising such as when the EU temporarily imposed tariffs on Kenyan cut flowers in 2014. But an even deeper concern is whether EPAs actually facilitate sustainable development. Many Africans think not. For example, Nigerian campaigners against an EU-west Africa trade deal argue that a reduction in tariffs will make imported machinery cheaper and thus undermine domestic industrial growth. EPA provisions effectively tie the hands of governments, restricting their ability to formulate their own industrial policies and collect revenues from tariffs – an important source of income for nations where other forms of taxation are difficult to raise. Such factors have led to the type of charge levelled by John Magufuli, Tanzania’s president, that EPA provisions resemble a “form of colonialism”. An underlying worry explaining the reluctance of some African leaders to sign up to EPAs is their suspicion that the biggest winners in such “partnerships” will be European exporters. Their worry is well founded. EPAs may boost exports of commodities like sugar, meat and dairy products from better-off African nations. 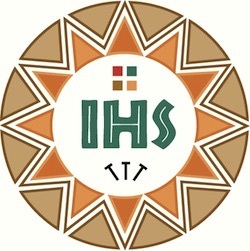 However, EPAs appear to do little to address the fundamental injustice of Africa being caught in the trap of being primarily an exporter of raw materials. The coffee trade illustrates this. The bulk of Africa’s coffee exports to the EU consists of unrefined green coffee beans. Whilst it is estimated that in 2014, Africa earned about $2.4 billion from the trade, this figure should be contrasted with the value of processed coffee re-exports accrued by Germany which for the same period stood at approximately $3.8 billion. This is one of many examples of the way that existing economic arrangements are stacked against African nations being able to add value to their exports by processing or manufacturing its raw materials. Unless and until Africa-EU trade agreements can redress these structural economic obstacles to investment in African economies, they are unlikely to prove effective in achieving sustainable development. In the meantime, African leaders are perhaps justified in placing more hope in the African Continental Free Trade Area (CFTA) approved by the African Union in 2012. Due to a highly fragmented market, intra-regional trade within Africa is a mere 18%. Bringing together 54 African countries with a population of more than one billion people and combined GDP of more than US $3.4 trillion, the CFTA may prove a surer way of growing local economies and protecting ACP populations against the turbulence of rising and falling tides of the global market.